Posted on Tuesday, August 27th, 2013 at 9:30 pm. No matter if your pet is young or old they bring so much joy to our lives. They live to make us happy, are the best listeners, and keep all of our secrets. Our pets enhance our lives from the very smallest that can fit into the palm of your hand to giant dogs and even the occasional farm animal they all have something special to offer us. Here at BlogPaws we know exactly how you feel about your pets because we feel the same way about ours. The love shared in this photo is courtesy BlogPaws Community member, Cathy C. Bennett. 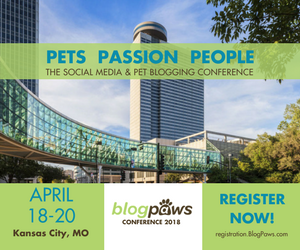 Join the BlogPaws Blog Hop for “Wordless Wednesday.” BlogPaws offers year-round interaction, activity, community and more to learn, earn, and connect. Plus we have the weekly tradition of the Wordless Wednesday BlogPaws Blog Hop! All pictures posted in the free BlogPaws Community are eligible to appear on this post each week. Oh what a happy looking family! So excited to be joining in with Wordless Wednesday! So many cute doggies to meet so little time! So love this B&W photo… wow!! Great !